Business Units are collections of Active Directory objects, whose membership is based on certain rules. For example, a Business Unit can include users with the word Sales in their Department property and members of the Sales Managers group. Business Units can contain objects located in different Organizational Units, domains and even forests. Business Units can be organized in folders, which allows you to create a virtual hierarchy of Active Directory objects, and use Business Units instead of Organizational Units for browsing Active Directory. You can also apply Scheduled Tasks, Business Rules, Security Roles, etc. to Business Unit members. For example, by assigning a Security Role on a Business Unit, you can allow your Help Desk to manage only the user accounts whose Employee ID starts with '1'. In this tutorial, you will learn how to create a Business Unit and how to assign a Security Role over members of a Business Unit. Click the Edit button associated with the Filter field. Type Sales in the Job Title field. To limit the search to a specific Organizational Unit or domain, select the location from which to start searching in the Look in field. You can use value references (e.g. %username%, %department%) in membership rules. Value references will be replaced with corresponding property values of the user who is logged in, which means that different users will see different members in the same Business Unit. For details, see Create Dynamic Business Unit. 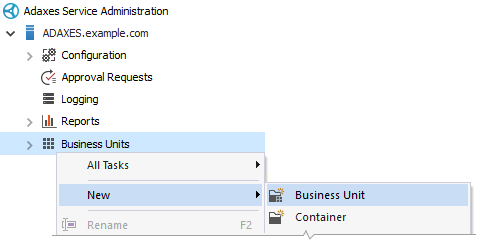 If necessary, you can exclude objects from the Business Unit. For example, if you don't want the Business Unit to contain members of the Administrators group, you can exclude the group from the Business Unit. 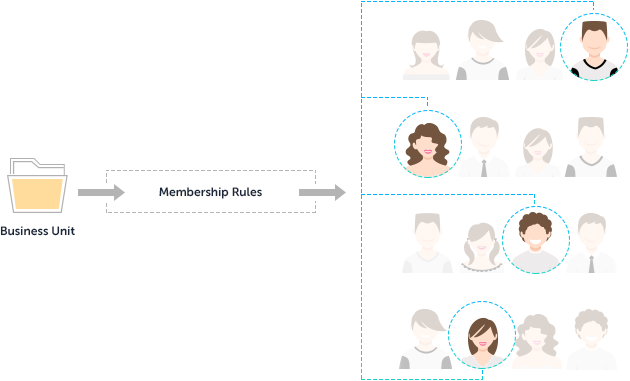 In the Rule Parameters section, select the group whose members you want to exclude. 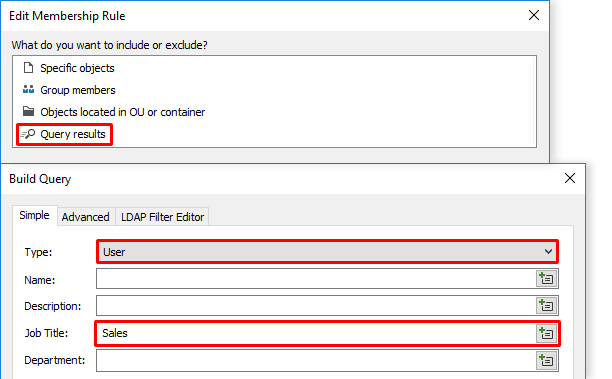 Check the Exclude specified objects checkbox. Expand Configuration \ Security Roles and select the role you want to assign. Click Add in the Assignments section. Type the name of the group or user to which you want to assign the role and then click it. Select Business Units in the Look in drop-down.